When it comes to the next big thing, Irish intuition has proven to be one of the country’s greatest strengths. Historically, Ireland’s economy was primarily built on the agricultural and low-end manufacturing sectors, both of which were becoming increasingly unsustainable. In the 1990s, the country decided that innovation needed to replace traditional industries. To achieve this end, Ireland’s officials looked inward to identify strengths and untapped potential. The country’s greatest asset was, undoubtedly, the character of its citizens, the mental aptitude of its workforce, and command of the English language. Low-end manufacturing and agriculture gave way to the technology sector, a gamble Ireland made that proved to be revolutionary for the Irish economy and business atmosphere. The government chose to invest in education and infrastructure while enacting pro-business policies, actions which made the country a hospitable environment for foreign direct investment (FDI). A new era of FDI arrived, with tech giants like Apple, Cisco, and Intel flocking to Ireland’s rugged shores. A second wave of tech companies, referred to as “born on the Internet,” was soon to follow. Companies such as Facebook, LinkedIn, Twitter, and Google invested in Ireland and cemented its status as a country brimming with the possibility for business growth. This spirit of innovation connects Ireland to tech sectors across the ocean, with great synergy between California’s Silicon Valley, New York’s Silicon Alley, and Dublin’s Silicon Docks. A newcomer to the Irish neighborhood, Indeed.com, has set up shop in the area. 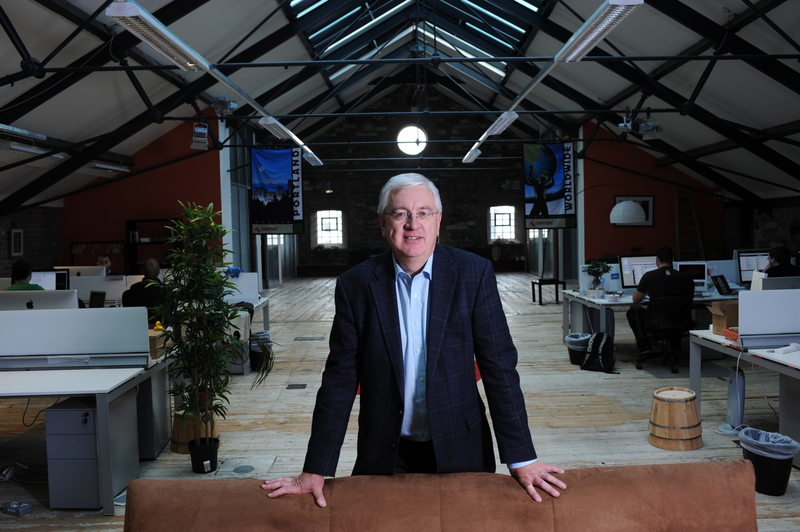 David Rudick, vice president of Indeed International Markets, has cited Dublin’s booming tech atmosphere as one of the country’s key draws. Despite Ireland’s success in the tech sector, the Irish government didn’t stop searching for new opportunity. Just as low-end manufacturing and agriculture had its era, Ireland’s past made it clear that industries thrive, morph and fade. The Irish government’s response to this inevitability was to mandate that the IDA (Industrial Development Agency) Ireland, the government agency responsible for attracting FDI, harness new opportunities for business and investment. In 2010, IDA established a dedicated team focused on attracting emerging technology companies that are the seeds of tomorrow’s multinationals. Such companies have impact hugely disproportional to their size and are often first to market with new ideas and new business models in digital media, financial services, life sciences and mobile technology. These companies are disruptive in nature, but in the best way. They each have the potential to revolutionize the global market. One of the first companies to step onto the global stage and disrupt the market was PayPal, a company that forever changed Internet commerce. Louise Phelan, the company’s vice president of Global Operations for EMEA, knows the benefit of doing business in Ireland. “As the digital capital of Europe, Ireland is an ideal location for technology leaders like PayPal as we enable anytime, anywhere commerce,” Phelan says. Along with PayPal, companies such as Adara, Etsy, Zendesk 10Gen, Engine Yard, Guilt, Nordeus and eMaint have become an increasingly important part of Ireland’s FDI ecosystem and supported the country’s development as a global innovation hub. Since the establishment of IDA’s Emerging Business Division, 60 new companies have invested in Ireland, 25 of which have come online this year alone. Milan Djukic, manager at Serbian games company Nordeus, knows that the strength of the tech sector in Ireland will promote business growth and attract similar companies. “As one of the fastest growing video games companies in Europe with many important partners from the IT industry, we’ve decided to open our new offices in Dublin because of the live and buzzing IT scene, positive energy around start-ups and industry development,” Djukic says. “And of course, the fact that many of our partners have offices in Ireland.” Nordeus is publisher of the most popular online sports video game in the world today, “Top Eleven,” and was voted the best start-up company at the London Web Summit in 2012, and the Best European Gaming Startup in 2011. 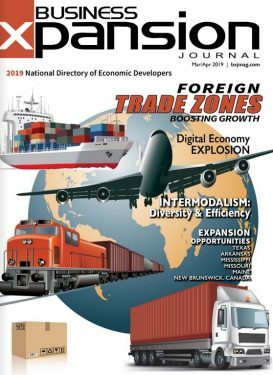 The IDA’s Emerging Business Division is focused on early-stage, fast growth companies, typically less than seven years old. One of the main attractions for these companies is the capacity to come to Ireland, set up fast and execute business models very efficiently. DropBox, a San Francisco-based company that allows people in business to share content using cloud computing, has recently opened up its European-based office in Dublin. Johann Butting, head of operations and online sales for DropBox in Europe, told The Irish Times that the company chose Dublin because of the access it would provide to a large talent pool. PayPal located in Dublin for similar reasons. Ireland’s knowledge-based economy has proved to be a welcoming atmosphere for foreign business. With a skilled workforce, a globally competitive 12.5 percent corporate tax rate, and a pro-business environment, Ireland will continue to compete for investment and prominence in the global marketplace. Along with having these assets in place, the knowledge that they can all be irrelevant in tomorrow’s market keeps the members of IDA’s emerging business team on their toes. Staying adaptable and constantly chasing new opportunity are two courses of action that the team has adhered to since its conception. Both courses have led to unprecedented growth in Ireland. Along with these practices, having the intuition to recognize the trends, innovation, and possibilities of tomorrow will decide what countries are at the forefront of the global market. Riding the next wave has been key to Ireland’s success. Just as Henry Ford knew the era of the horse was over and the era of the machine was beginning, it is essential for business leaders to constantly seek out the next big thing. 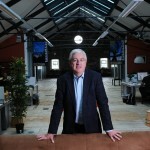 Barry O’Dowd is the senior vice president of the Emerging Businesses Division of IDA Ireland, www.idaireland.com, the leading inward investment agency in Ireland. Prior to his current position, O’Dowd headed IDA’s Pharmaceutical and Biotechnology Division, where he led a team that had nine of the world’s top 10 pharmaceutical and biotechnology companies as customers. Follow him onTwitter @BarryODowd_IDA. Ireland’s position in the world rankings include: first for flexibility and adaptability of workforce; first for attitudes to globalization; first for investment incentives; and third for availability of skilled labor. The key features of Ireland’s tax regime, include a corporate tax rate of 12.5 percent for active business; 25 percent R&D tax credit; and an intellectual property regime which provides a tax write-off for broadly defined IP acquisitions. IDA Ireland is focused on securing investment in: high-value manufacturing, global services and RD&I. Ireland has built up a concentration of knowledge and expertise in life sciences, ICT services, digital media and customer brands. Ireland is an island of diverse regions. The coast of Ireland boasts a mix of stunning beaches and rugged cliffs. The landscape varies drastically from rich agricultural land to the karst landscape of the Burren, with scenic rivers, lakes and mountain ranges in between.